This handcrafted wooden hair stick has been painted black to show off the bright colorful purple and white painted polka dot design adorning the top. 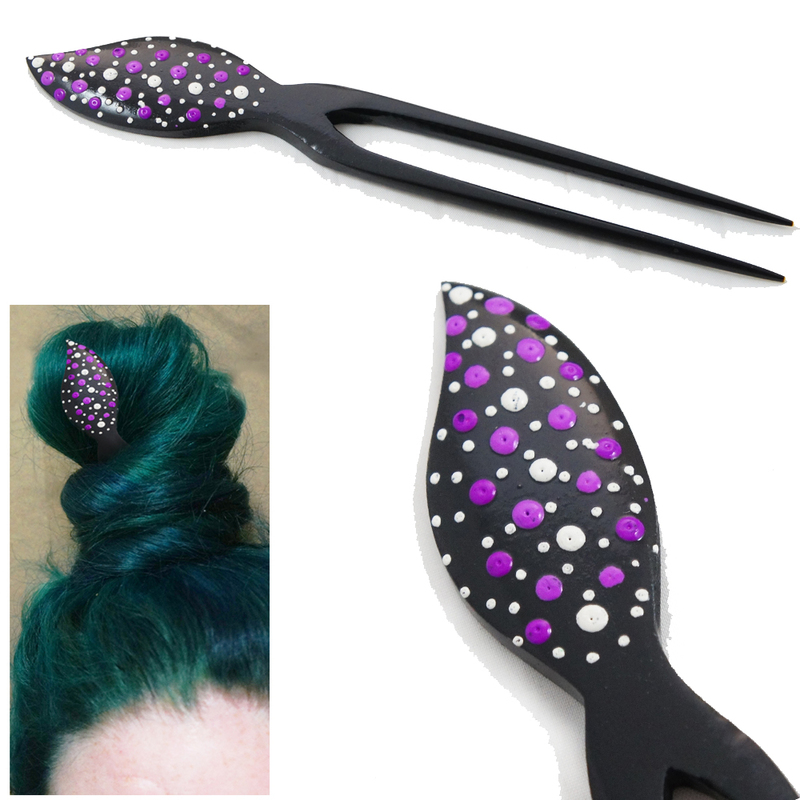 Carved into a leaf shape this hair fork has a style that stands out! If you want to do something different with your hair, rock an everyday updo hair style with our organic hair jewelry ornaments. Our two prong hair jewelry is ideal for those who have very thick and curly hair, who normally struggle to achieve real hold with a single hair stick. Additionally, double prong hair sticks are awesome for people with fine hair who are looking for a great updo accent for pony tails or braids.